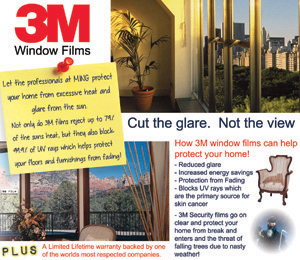 We are Thunder Bay’s trusted source for all 3M Window films; Home of the Ming Mirror Finish and much more! – Guaranteed Color Stable technology – Say good bye to purple windows! – Window films for your home, office or commercial buildings. – Doctor OZ recommended. Seriously!